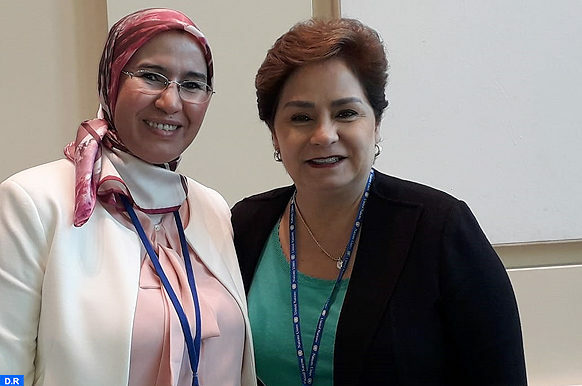 New York – Secretary of State for Sustainable Development Nezha El Ouafi held talks in New York with Executive Secretary of the United Nations Framework Convention on Climate Change (UNFCCC) Patricia Espinosa, on the sidelines of the ministerial segment of the 2018 United Nations High-Level Political Forum on Sustainable Development (July 16-18). Discussions between the two sides focused on progress in the climate change negotiations and possibilities for cooperation, notably with the Climate Change Competence Centre in Rabat. 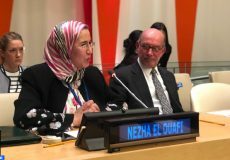 El Ouafi also co-chaired a high-level workshop on the NDC Partnership, a Moroccan-German initiative on Intended Nationally Determined Contributions (INDC), alongside the German Secretary of State for the Environment, Nature Conservation and Nuclear Safety. 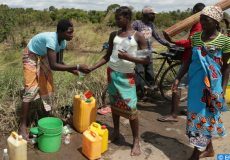 It is a platform to help developing countries meet their national climate targets under the Paris Agreement and the Sustainable Development Goals (SDGs). 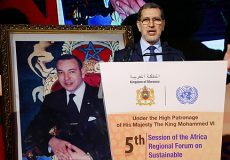 Also, and as part of the follow-up to the initiatives launched by Morocco on the sidelines of the COP22 Climate Conference in Marrakech, El Ouafi co-chaired a high-level meeting on the implementation of the African Initiative on Sustainability, Stability and Security (3S).